Try a fully-functional version of Connext DDS 6.0 for 30 days. The Internet transformed how people communicate, what they do and how they work together. Now, it is connecting machines and devices together into intelligent systems that will transform the world. These connected systems make up the Industrial IoT (IIoT). RTI provides the intelligent connectivity framework designed for the Industrial IoT. RTI Connext DDS delivers the edge-to-cloud connectivity software needed to streamline, control and monitor the most demanding IIoT systems. There’s no room for error in designing, integrating and deploying mission-critical Industrial IoT systems. The Professional Services team works with RTI customers to increase efficiency and drive project success. From downloads to Hello World, we've got you covered. Find all of the tutorials, documentation, peer conversations and inspiration you need to get started using Connext DDS today. RTI provides a broad range of technical resources to learn about the RTI Connext product line and its underlying Object Management Group (OMG) Data Distribution Service (DDS) technology. RTI is the Industrial Internet of Things connectivity company. Across industries and across the world, companies trust RTI software and services to make their mission-critical applications work as one. The blog for the Industrial IoT. Complex distributed systems often use multiple styles of communication, interaction patterns, to implement functionality. One-to-many publish-subscribe, one-to-one request-reply, and one-to-one queuing (i.e., exactly-once delivery) are the most common. RTI Connext DDS supports all three. Two of them are available as standard specifications from the Object Management Group (OMG): the DDS specification (duh!) and newer Remote Procedure Call (RPC) over DDS (DDS-RPC) specification. DDS-RPC specification is a significant generalization of RTI's own Request-Reply API in C++ and Java. There are two major differences: (1) DDS-RPC includes code generation from IDL interface keyword and (2) asynchronous programming using futures. Let's look at an example straight from the DDS-RPC specification. It's pretty obvious what's going on here. RobotControl is an IDL interface to send commands to a robot. You can start/stop it, get its status, and control its speed. The setSpeed operation returns the old speed when successful. The robot knows its limits and if you try to go too fast, it will throw a TooFast exception right in your face. To bring this interface to life you need a code generator. As of this writing, however, rtiddsgen coughs at the interface keyword. It does not recognize it. But sometime in not-so-distant future it will. For now, we've got the next best thing. I've already created a working example of this interface using hand-written code. The API of the hand-written code matches exactly with the standard bindings specified in DDS-RPC. As a matter of fact, the dds-rpc-cxx repository is an experimental implementation of the DDS-RPC API in C++. Look at the normative files to peak into all the gory API details. Java folks... did I mention that this is a C++ post? Well, I just did... But do not despair. The dds-rpc-java repository has the equivalent Java API for the DDS-RPC specification. However, there's no reference implementation. Sorry! DDS-RPC distinguishes between the Request/Reply and the Function-Call style language bindings. The Request-Reply language binding is nearly equivalent to RTI's Request/Reply API with some additional asynchronous programming support. More on that later. Here's a client program that creates a requester to communicate with a RobotControl service. It asks for the current speed and increases it by 10 via getSpeed/setSpeed operations. The underlying request and reply topic names are "RobotControlRequest" and "RobotControlReply". No surprise there. There's quite a bit of ceremony to send just two requests to the robot. The request/reply style binding is lower-level than function-call style binding. The responsibility of packing and unpacking data from the request and reply samples falls on the programmer. An alternative, of course, is to have the boilerplate code auto-generated. That's where the function-call style binding comes into picture. The same client program can be written in much more pleasing way using the function-call style language binding. Here, a code generator is expected to generate all the necessary boilerplate code to support natural RPC-style programming. The dds-rpc-cxx repository contains the code necessary for the RobotControl interface. Synchronous RPC is a very poor abstraction of latency. Latency is a hard and insurmountable problem in network programming. For reference see the latency numbers every programmer should know. If we slow down a computer to a time-scale that humans understand, it would take more than 10 years to complete the above synchronous program assuming we were controlling a robot placed in a different continent. 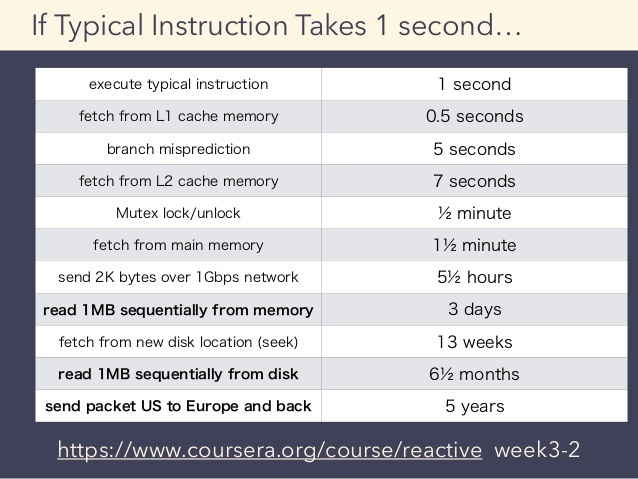 Consider the following table taken from the Principles of Reactive Programming course on Coursera to get an idea of what human-friendly time-scale might look like. The problem with synchronous RPC is not only that it takes very long to execute but the calling thread will be blocked doing nothing for that long. What a waste! Dealing with failures of the remote service is also a closely related problem. But for now let's focus on the latency alone. The problem discussed here isn't new at all. The solution, however, is new and quite exciting, IMO. The DDS-RPC specification uses language-specific future<T> types to indicate that a particular operation is likely going to take very long time. In fact, every IDL interface gives rise to sync and async versions of the API and allows the programmers to choose. The client-side generated code for the RobotControl interface includes the following asynchronous functions. Note that every operation, including those that originally returned void return a future object, which is a surrogate for the value that might be available in future. If an operation reports an exception, the future object will contain the same exception and user will be able to access it. 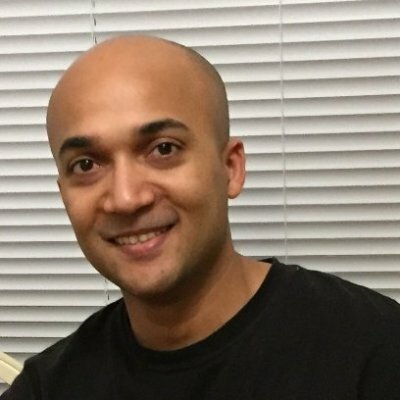 The dds::rpc::future maps to std::future in C++11 and C++14 environments. As it turns out, C++11 futures allow us to separate invocation from execution of remote operations but retrieving the result requires waiting. Therefore, the resulting program is barely an improvement. The client program is free to invoke multiple remote operations (say, to different services) back-to-back without blocking but there are at least three problems with it. The program has to block in most cases to retrieve the results. In cases where result is available before blocking, there's problem #2. It is also possible that while the main thread is busy doing something other than waiting, the result of the asynchronous operation is available. If no thread is waiting on retrieving the result, no progress with respect that chain of computation (i.e., adding 10 and calling setSpeed) won't proceed. This is essentially what's known as continuation blocking because the subsequent computation is blocked due to missing resources. Finally, the programmer must also do correlation of requests with responses because in general, the order in which the futures will be ready is not guaranteed to be the same as the requests were sent. Some remote operations may take longer than the others. To resolve this non-determinism, programmers may have to implement state-machines very carefully. For the above reasons, this program is not a huge improvement over the request/reply style program at the beginning. In both cases, invocation is separate from retrieval of the result (i.e., both are asynchronous) but the program must wait to retrieve the results. "Blocking is the goto of Modern Concurrent Programming"
In the multicore era, where the programs must scale to utilize the underlying parallelism, any blocking function call robs the opportunity to scale. In most cases, blocking will consume more threads than strictly necessary to execute the program. In responsive UI applications, blocking is a big no-no. Who has tolerance for unresponsive apps these days? A lot has been written about improved futures. See Dr. Dobb's, Facebook's Folly, and monadic futures. I won't repeat that here but an example of .then() is in order. This example is also available in the dds-rpc-cxx repository. The program with .then() sets up a chain of continuations (i.e., closures passed in as callbacks) to be executed when the dependent futures are ready with their results. As soon as the future returned by getSpeed_async is ready, the first closure passed to the .then() is executed. It invokes setSpeed_async, which returns yet another future. When that future completes, the program continues with the second callback that just prints success/failure of the call. This style of chaining dependent computations and constructing a dataflow graph of asynchronous operations is at the heart of reactive programming. It has a number of advantages. There's no blocking per request. The program fires a series of requests, sets up a callback for each, and waits for everything to finish (at getchar()). There's no continuation blocking because often the implementation of future is such that the thread that sets value of the promise object (the callee side of the future), continues with callback execution right-away. Correlation of requests with replies isn't explicit because each async invocation produces a unique future and its result is available right in the callback. Any state needed to complete the execution of the callback can be captured in the closure object. Requires no incidental data structures, such as state machines and std::map for request/reply correlation. This benefit is a consequence of chained closures. While serial composition of futures (.then) looks cool, any non-trivial asynchronous program written with futures quickly get out of hands due to callbacks. The .then function restores some control over a series of asynchronous operations at the cost of the familiar control-flow and debugging capabilities. Think about how you might write a program that speeds up the robot from its current speed to some MAX in increments of 10 by repeatedly calling getSpeed/setSpeed asynchronously and never blocking. This program is unusually complex for what little it achieves. The speedup_until_maxspeed function appears to be recursive as the second lambda calls the function again if the speed is not high enough. In reality the caller's stack does not grow but only heap allocations for future's shared state are done as successive calls to getSpeed/setSpeed are made. The next animation might help understand what's actually happening during execution. Click here to see a larger version. The control-flow in a program with even heavy .then usage is going to be quite hard to understand, especially when there are nested callbacks, loops, and conditionals. We lose the familiar stack-trace because internally .then is stitching together many small program fragments (lambdas) that have only logical continuity but awkward physical and temporal continuity. Debugging becomes harder too. To understand more what's hard about it, I fired up Visual Studio debugger and stepped the program though several iterations. The call-stack appears to grow indefinitely while the program is "recursing". But note there are many asynchronous calls in between. So the stack isn't really growing. I tested with 100,000 iterations and the stack did not pop. 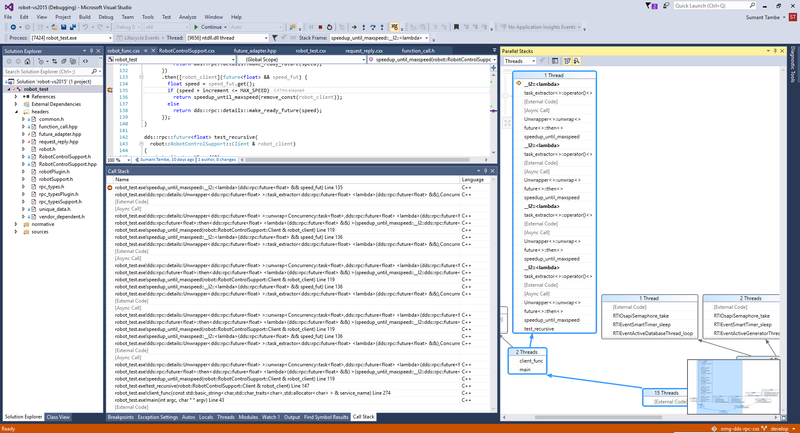 Here's a screenshot of the debugger. So, .then() seems like a mixed blessing. Wouldn't it be nice if we could dodge the awkwardness of continuations, write program like it's synchronous but execute it fully asynchronously? Microsoft has proposed a set of C++ language and library extensions called Resumable Functions that helps write asynchronous code that looks synchronous with familiar loops and branches. The latest proposal as of this writing (N4402) includes a new keyword await and its implementation relies on improved futures we discussed already. Update: The latest C++ standard development suggests that the accepted keyword will be coawait (for coroutine await). The speedup_until_maxspeed function can be written naturally as follows. I'm sure C# programmers will immediately recognize that it looks quite similar to the async/await in .NET. C++ coroutines bring a popular feature in .NET to native programmers. Needless to say such a capability is highly desirable in C++ especially because it makes asynchronous programming with DDS-RPC effortless. The best part is that compiler support for await is already available! 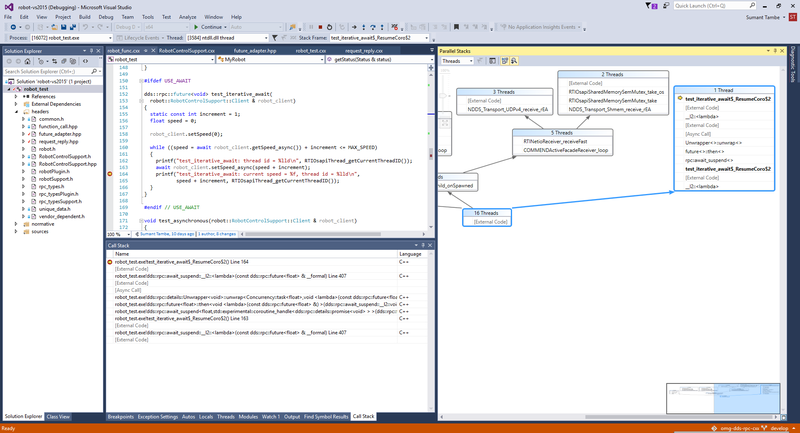 Microsoft Visual Studio 2015 includes experimental implementation of resumable functions. I have created several working examples in the dds-rpc-cxx repository. The examples demonstrate await with both Request-Reply style language binding and Function-Call style language binding in the DDS-RPC specification. Like the example before, I debugged this example too. It feels quite natural to debug because as one would expect, the stack does not appear to grow indefinitely. It's like debugging a loop except that everything is running asynchronously. Things look pretty solid from what I could see! Here's another screenshot. The current experimental implementation of DDS-RPC uses thread-per-request model to implement concurrency. This is a terrible design choice but there's a purpose and it' very quick to implement. A much better implementation would use some sort of thread-pool and an internal queue (i.e., an executor). The concurrency TS is considering adding executors to C++. Astute readers will probably realize that thread-per-request model implies that each request completes in its own thread and therefore a question arises regarding the thread that executes the remaining code. Is the code following await required to be thread-safe? How many threads might be executing speedup_until_maxspeed at a time? Quick test (with rpc::future wrapping PPL tasks) of the above code revealed that the code following await is executed by two different threads. These two threads are never the ones created by the thread-per-request model. This implies that there's a context switch from the thread that received the reply to the thread that resumed the test_iterative_await function. The same behavior is observed in the program with explicit .then calls. Perhaps the resulting behavior is dependent on the actual future/promise types in use. I also wonder if there is a way to execute code following await in parallel? Any comments, Microsoft? A quick look into N4402 reveals that the await feature relies on composable futures, especially .then (serial composition) combinator. The compiler does all the magic of transforming the asynchronous code to a state machine that manages suspension and resumption automatically. It is a great example of how compiler and libraries can work together producing a beautiful symphony. C++ coroutines work with any type that looks and behaves like composable futures. It also needs a corresponding promise type. The requirements on the library types are quite straight-forward, especially if you have a composable future type implemented somewhere else. Specifically, three free functions, await_ready, await_suspend, and await_resume must be available in the namespace of your future type. In the DDS-RPC specification, dds::rpc::future<T> maps to std::future<T>. As std::future<T> does not have the necessary functionality for await to work correctly, I implemented dds::rpc::future<T> using both boost::future and concurrency::task<T> in Microsoft's TPL. Further, the dds::rpc::future<T> type was adapted with its own await_* functions and a promise type. Adapting boost::future<T> was straight-forward as the N4402 proposal includes much of the necessary code but some tweaks were necessary because the draft and the implementation in Visual Studio 2015 appear slightly different. Implementing dds::rpc::future<T> and dds::rpc::details::promise<T> using concurrency::task<T>, and concurrency::task_completion_event<T> needed little more work as both types had to be wrapped inside what would be standard types in near future (C++17). You can find all the details in future_adapter.hpp. There are a number resources available on C++ Coroutines if you want to explore further. See the video recording of the CppCon'15 session on "C++ Coroutines: A Negative Overhead Abstraction". Slides on this topic are available here and here. Resumable Functions proposal is not limited to just await. There are other closely related capabilities, such as the yield keyword for stackless coroutines, the await for keyword, generator, recursive_generator and more. Indeed, this is truly an exciting time to be a C++ programmer. Connext® DDS is the world's leading implementation of the Data Distribution Service (DDS) standard for Real-Time Systems. Try a fully-functional version of Connext DDS 5.3 for 30 days. © Copyright Real-Time Innovations. 2007-2019. All rights reserved.